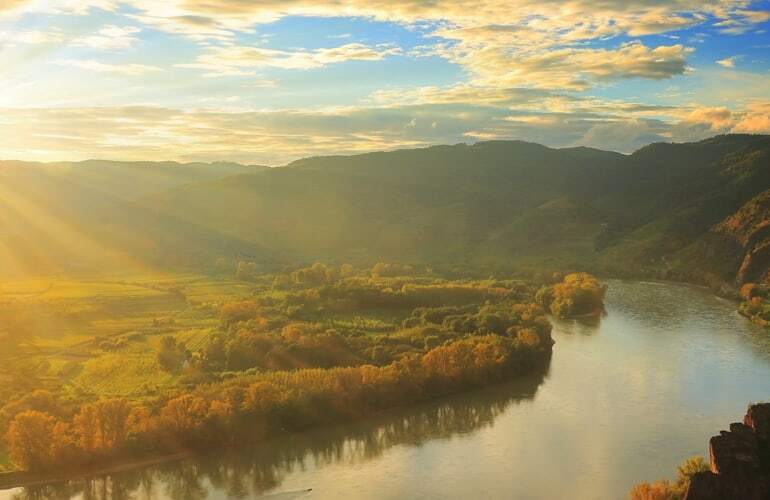 Danube river is the greatest river and also one of the most romantic river in Europe. It flows for nearly 1800 miles across ten countries. If you take the Danube River cruise, you will admire all of the beauty of Budapest. 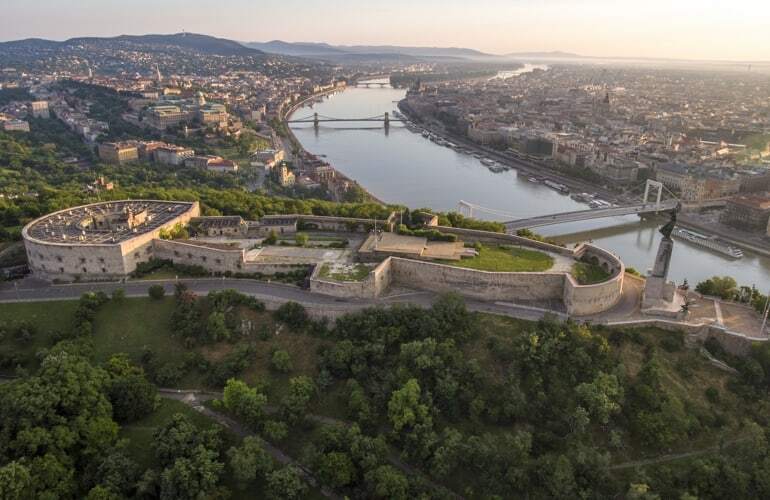 Along its banks, you can discover the peaceful Buda and the lively Pest. In particular, Budapest is charming at night with the brilliant lights of the bridges and buildings as well. It is definite that you will fall in love with this gorgeous scenery. The Hungarian Parliament Building lies in Lajos Kossuth Square, on the bank of the Danube. It is one of the most ancient legislative works in Europe. In addition, it is the largest architecture in Hungary and an important tourist destination in the romantic city - Budapest. 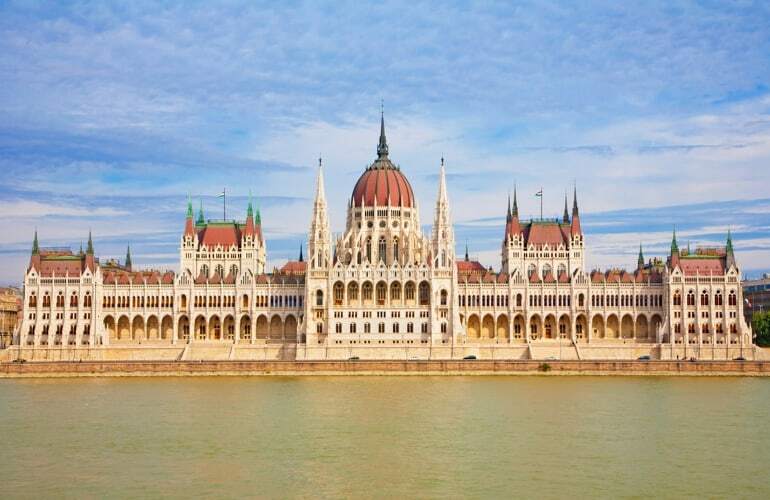 The Parliament was built in 1885 and completed in 1904 but was not opened and put into use until 1896 to commemorate the 1000th birthday of Hungary. Moreover, inside, there are also 10 lounges, 13 elevators, 27 gates, 29 stairs, 691 rooms. And, this building brings neo-Gothic style and completely symmetrical both inside and outside. So you will be satisfied with the design and the beauty of this building. Gellért Monument: was erected in 1904 at the site where Gellért met his death. The statue is 12 meters tall and is framed by a neoclassical semi-circular colonnade. Also, there is a small man-made waterfall below this sculpture. Liberty statue (Szabadság Szobor): was erected in 1947 in remembrance of the Soviet liberation of Hungary during World War II. The 14 meters tall bronze statue stands on a 26 meter pedestal and holds a palm leaf. There are also two smaller statues around the base of this Liberty statue. Gellért Hill Cave: was built in 1920, it served as a chapel and a field hospital during World War II. Next to “Pearl of the Danube”, Budapest is also famous with another nicknames “City of Spas”. 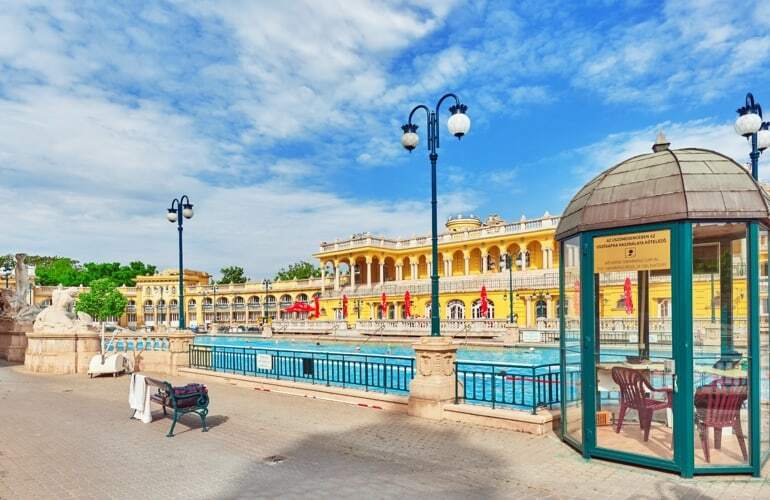 In this beautiful city, there are many natural warm spring waters, which is why Budapest had excellent thermal baths which attracts many domestic and foreign tourists. The bathing culture of Hungarians is highly appreciated and brings high health value. In fact, Budapest has nearly a dozen thermal spas at this time. The two most widely known are Széchenyi and Gellért. It were built hundreds of years ago with magnificent scale as a castle, with each room swimming in a different room, surrounded by statues, stones, nozzle, etc. 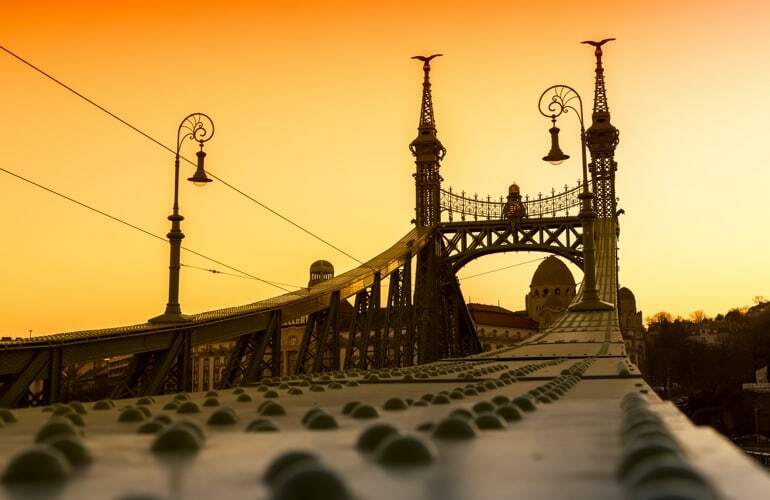 Budapest is known for its 8 graceful bridges which spans along the lovely Danube to connect these two cities. Each bridge has its own historical story with a distinct style, and own charming beauty. They are also considered as the symbol of the city, so that if you have chance to arrive in Budapest, it is impossible to ignore the unique beauty of these bridges. 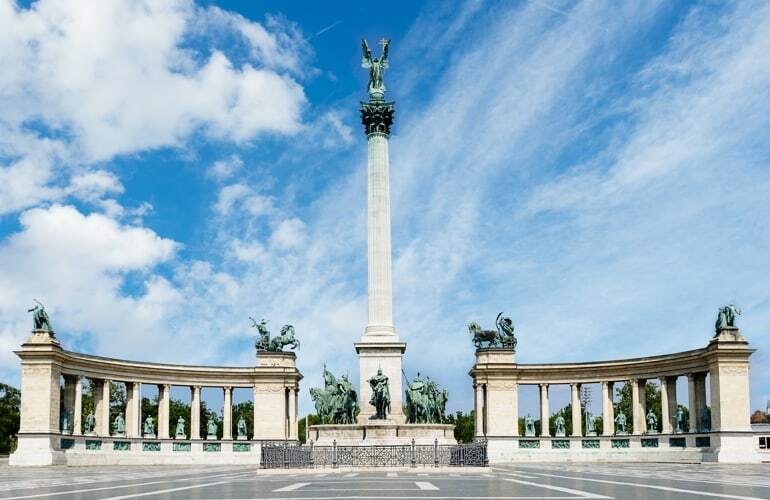 Designed by Albert Schickedanz for the celebration of Hungary's 1000th anniversary in 1894, the Millennium Monument is a 36 meter high white pillar. At the top of the column is Archangel Gabriel. Statues representing war and peace, work and well-being as well as knowledge and glory are placed in the lower columns. In addition, there is the statue of Árpád, the Hungarian leader in the 895th Carpathian Crusade, and the seven Hungarian tribal chiefs on horseback around the campus. Built in 1851, St Stephen’s Basilica took more than 50 years to complete. It is the largest church in Budapest and it can hold up to 8500 people. This was built to commemorate St. Stephen, the first king of Hungary. The church is one of the most important monuments of Hungary. St. Stephen's Basilica has an extremely modern architecture with beautiful dome. The church is 96 meters high, 55 meters wide and 87 meters long. The statues inside the church were designed by sculptor Léo Fessler. The right side of the church displays the largest bell of Hungary, weighed 9144 kg. 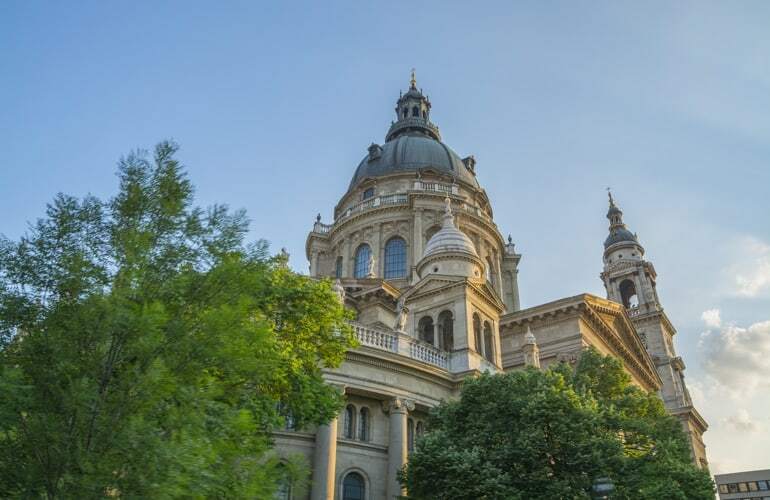 If you want to see the entire scene of Budapest, you can go up the church's dome balcony by elevator or climb 302 steps.